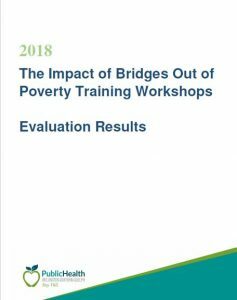 An evaluation to understand the impact of the Bridges Out of Poverty training workshops in participating workplaces in Wellington, Dufferin and Guelph that received Bridges out of Poverty training between 2014 to 2017 was recently completed. Click on the link above or please email louise.brooks@wdgpublichealth.ca to request an electronic copy via email. Come and celebrate Circles and discuss the research completed by Local Poverty Reduction Fund. Listen to music, share food and and share stories. It will be a great time!